The Scottish Liberal Democrats have withdrawn their support for the intrusive 'Named Person' scheme, after the Supreme Court ruled that the proposals, in their current form, are unlawful. 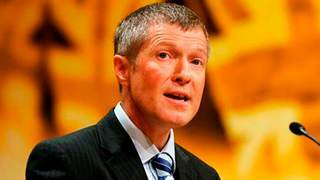 The Lib Dems leader, Willie Rennie, said the party could no longer back the plans because of "mission creep", expressing concerns over reports of data sharing between GPs, health visitors and teachers. Meanwhile, Scottish Labour has appealed to the Scottish government to remove 16-18 year olds from the scope of the plans. Withdrawal of these two parties' support will put pressure on the Scottish government to significantly amend the plans, or even drop them altogether. Under the scheme, which would have been rolled out at the end of August, all children in Scotland would have been allocated a 'Named Person', such as a teacher or health worker, to act as a state-appointed guardian. The nominated individual would have been given access to the child’s confidential records and be expected to report any concerns to the police. The plans raised widespread concern about state control and interference with parental responsibility for their children. Both the Liberal Democrats and Labour had initially supported the scheme when it was put before Holyrood in the previous parliament. However, the plans have attracted repeated criticism and even a legal challenge, mounted by the No to Named Persons coalition (No2NP), which was taken all the way to the Supreme Court. In a rare move, the Supreme Court ruled on 28 July that the plans breached the right to privacy and family life, under the European Convention of Human Rights (ECHR). A line from the Court’s judgment read: "The first thing that a totalitarian regime tries to do is to get at the children, to distance them from the subversive, varied influences of their families, and indoctrinate them in their rulers’ view of the world." Colin Hart, Director of the Christian Institute which forms part of the No2NP coalition, said that the Supreme Court’s decision is a "a devastating blow for the Scottish government which sought to brush off all criticism of its Named Person scheme as 'scaremongering'". The Supreme Court gave the Scottish government 42 days to rectify the legislation. If the Scottish government amends the plans, they will need to be reviewed by the Supreme Court once again. "Implementation of the ‘named person’ may now be over-reaching the spirit of the legislation, with those assigned as named persons undertaking roles and sharing information to a degree which goes beyond what the Act intended and for which they have not received the appropriate training. "Previously, if [public sector workers] had a concern, a quiet word with the mum, dad or guardian would be sufficient. Now the formalised requirement and duty is suffering from mission creep with reports being sought from GPs and others — just like social workers. "The Supreme Court judgment on the data-sharing provisions was the final blow. The judges may only have ruled on a narrow, technical issue but it has further damaged a piece of legislation that is at best struggling." He concluded: "The government needs to order an independent review to consider the threshold for intervention, the power and duty of the named person, resources, training and the data-sharing arrangements. Without such a review the loss of public support and confidence will have wider consequences." Scottish Labour’s education spokesman, Iain Gray, recommended that 16-18 year olds should be removed from the scheme. In a letter to Deputy First Minister John Swinney, Mr Gray said that it is not enough to "simply tweak the act to avoid the ECHR breach and pretend that everything else with the law is fine". "You should use the opportunity to remove 16-18 year olds from the scheme. The extension of the law to young people already considered adult enough to leave school, work, vote and marry seems disproportionate and, to many, absurd." Mr Swinney said that he will consider Mr Gray’s proposals.